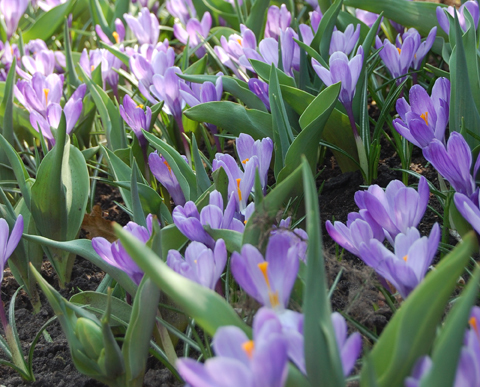 Carefree and naturalizing, blooming crocus signal the end of winter. Crocus are easy to grow in well-drained soil in full sun or partial shade. If left undisturbed, crocus will multiply and come back year after year. Plant in waves in the garden or lawn. If planting in the lawn, wait to mow the lawn until at least six weeks after the crocus have flowered. Flower colors include shades of blue, yellow and white.